The successful candidate will demonstrate ​support for diversity, equity and inclusiveness as well as participate in ​maintaining a respectful, positive work environment. The Diversity Coordinator is primarily responsible for design, implementation and evaluation of a wide range of internal and external programs overseen by the Associate Dean and Director of Diversity and Inclusion including a variety of initiatives designed to engage, recruit or retain underrepresented students, faculty and staff. The Diversity Coordinator responds to inquiries from prospective students and represents the Office of Diversity and Inclusion at outreach and community events. The Diversity Coordinator also provides program development support for School of Medicine organizations and committees geared toward recruitment and retention of diverse students, faculty and staff. The Diversity Coordinator is expected to establish and maintain positive relationships with faculty, staff, current and prospective medical students, and pipeline partners. This position requires a Bachelor’s degree in Business, Hospitality, Operations Management, Marketing, or related fields from a regionally accredited college or university and 1-3 years event and program management experience in a higher education setting. Although this position will remain open until filled, review of candidates’ materials will begin on May 17, 2019 and best consideration will be gained for materials submitted prior to that date. Materials should be addressed to Adeste Sipin, Search Committee Chair, and are to be submitted online as we do not accept emailed materials. For assistance with the application process, please contact UNLV Human Resources at (702) 895-3504 or applicant.inquiry@unlv.edu. 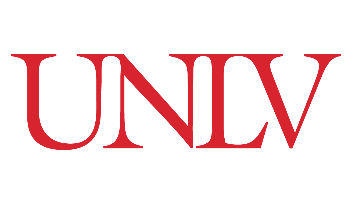 UNLV employees or employees within the Nevada System of Higher Education (NSHE) MUST use the “Find Jobs” process within Workday to find and apply for jobs at UNLV and other NSHE Institutions. Once you log into Workday, type "Find Jobs" in the search box which will navigate to the internal job posting site. Locate this specific job posting by typing the requisition number, “R0114903” in the search box.